Lowaire Digital isn’t just your average website and digital marketing agency. We are building and developing ideas, software, and systems which we hope will change the way we live and work in the future. Our development team are truly passionate about technology and innovation and over the last 12 months, we’ve been developing Virtual Nurse which is a voice-enabled app available free on Alexa, Google Home, Facebook Messenger, and Skype. You can ask Virtual Nurse about illnesses, medications and for first aid advice, she will then respond with detailed information about your request. Virtual Nurse can even tell you the emergency number in any given country and provide you with tailored information based on your age. Launched in 2016 by Adam Coley with the idea of providing basic CPR instructions, Virtual Nurse now has over 2,000 users and it’s been used over 7,000 times. Alongside this we’ve added over 500 new features and became a content syndication partner of NHS Choices, ensuring we provide the highest possible quality information to our users. Last month we entered our business into Innovation 50, which looks across the Midlands for the top 50 most innovative companies operating. 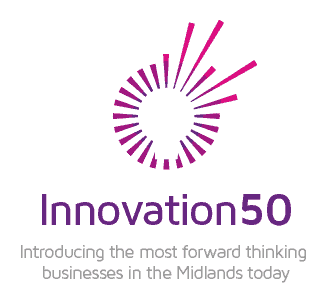 We are delighted to announce that Lowaire Digital has been voted as one of the most top 50 innovative companies in the Midlands by an expert panel of judges. To visit Innovation 50 please click here.